An interesting Artilce on NZ Mosasuars, do they still inhabit our oceans. This is kindly presented here with the Permission of Sam Yivano, a budding Cryptozoologist, who I am sure will go far in the Field. Sam does however give the following disclaimer. "I must add a disclaimer that I am not in the habit of accepting exclusively stories with a strong background of evidence, therefore many of my tales are likely urban legends or just plain superstitions"
Thank you Sam for allowing the publication of "JAWS". Mosasaur - Do these creatures breed in NZ Waters? On April 27, 1977, an incredible carcasse of some deep sea monster was trawled up by the japanese fishing boat, the Zwiyo Maru, off the coast of Canterbury, New Zealand. Immediately newspapers were ablave with headlines such as "Loch Ness Monster found in New Zealand!". There were claims from respected professers that it could mean only one thing, the prehistoric sea reptiles, the Plesiosaurs, lived on in a small colony in the waters of New Zealand. The area was searched repeatedly for any sign of more monsters, but none were found. Worldwide sightings of sea creatures similar to the carcasse cropped up, and then abruptly stopped three months later, when it was officailly anounced that the corpse was that of a basing shark, albeit a badly decompsed one. The sightings dropped, the newpapers returned to criminal activity and Canterbury lost its deep sea monster forever. The Mosasaurs were a group of sea reptiles that officially died out in the cretaceous period around 65 million years ago. And yet every year at least one report of an incredibly similar sea creature comes in from the waters of New Zealand. The stories of Mosasaur-like monsters in NZ outnumber almost every other country, they are so numerous that some paleontologists argue that New Zealand is "A breeding ground for Mosasaurs"
On August 1, 889 Mr Alexander Lindsay Kerr, cheif officer of the union steam shipping company ship Rotomahama, was shocked to witness a "huge conger eel, with the exception that it had two fins about 10ft (3 metres) long" rise out of the ocean almost 30ft, 9 metres, off the Portland Light between Gisbourne and Napier. He later described how when he saw pictures of Eels in books later he thought the serpent he had seen had a far more crocodillian head. Theo Hazelwood recalled the time he was on a fishing boat in 1926 near the entrance to wellington harbour, when a 16 year old boy shouted out to him from the back of the boat. He rushed over, and saw a thin long thin neckdrifting on the water surface, topped with a small head and a mouthful of viscious fangs. It circled the boat five times before swimming away. That would have to be a perfect description of a plesiosaur. In 1939 a Christchurch couple in Totaranui where the famous basking shark carcasse was found, said they stumbled across a large rotting animal, which they later described as resembling the Zwiyo Maru corpse. In April 1971 the crew of the Kompira Maru saw a bug eyed monster about 30 km off Lyttleton. 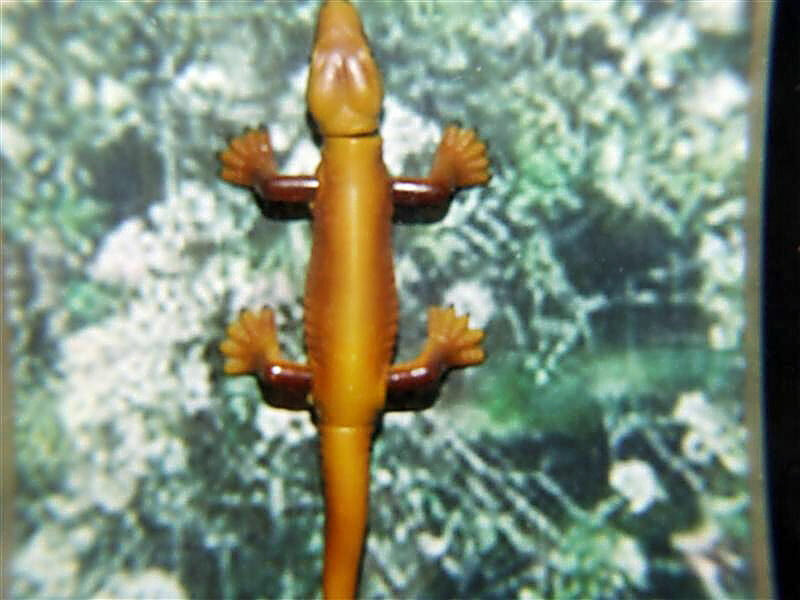 It was said to resemble a large crococodile, though they saw it had fins rather than legs when it leaped under the water. In 1972 in Temuka, three women waitbaiting at the mouth of the Orari river watched a huge monster wallowing in the breakers barely 30 metres away. They described it as a dark grey lizard like creature, though it was around 5 metres long. At one point it opened a huge gaping mouth full of small, sharp, teeth. An anonymous woman claimed that in 1983 she had witnessed a gigantic Mosasaur-like sea creature circling the small raft she was in far off the coast of Picton. She said the animal she saw was almost 7 metres in length and that its snout occasionally emerged from the water, showing some very grisly looking teeth. In 1990 two young woman sun bathing by a lagoon near Taupo were amazed to see a 'Giant lizard' swimming around in the shallows. It emerged its upper body at one point and attempted to catch a bird in its jaws, but was unsuccesful. It then submerged again and swam into the depths. The girls said it was the most incredible experience they'd ever had, and their description of a 4-5 metre long, green water lizard is again irresitably Mosasaur reminescent. Three years after the incident in the lagoon a large sea monster was spotted by Earl Rigney of Canterbury via telescope. He claimed he saw what he thought was a whale in the distance, so he looked through his telescope at the animal and was suprised to see that it was a collosal crocodile, breaching on the surface of the water. He said it was roughly 30ft (9 metres) long. His report is similar to that of Alexander Kerrs giant conger eel. During the summer of 2001 a group of teenagers bogey boarding in Paekakariki were terrified when an enormous monster exploded out of the water in front of them. All of the five perfectly described a Mosasaur when they reported their tale. In 2006 Ivan Levy was left shocked and boatless after a dramatic an encounter with a viscious pair of Mosasaur resmbling animals, which rammed into and attacked his boat when he was out enjoying the sun on the deck. 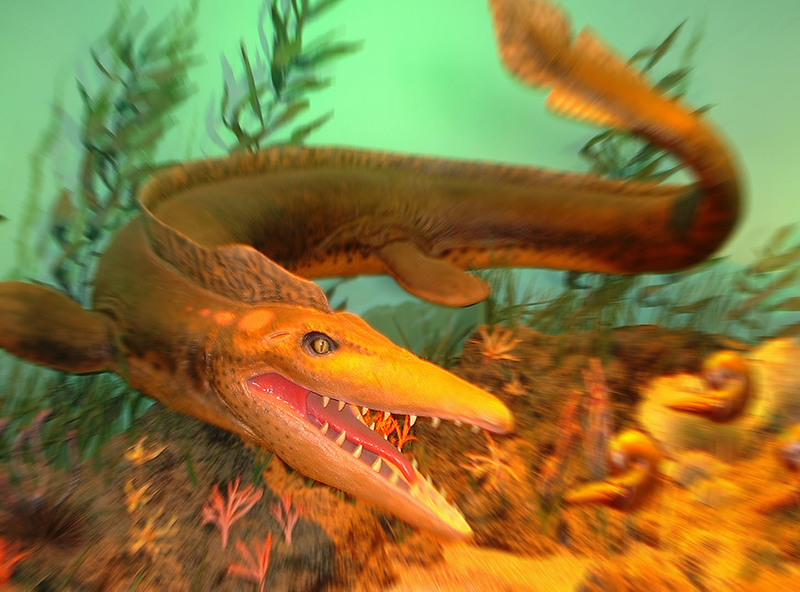 He claimed that they were "like lizards with fins" and were about 6 metres long, although he did say they may have been slightly shorter or longer. After over an hour of attacking the boat the pair of creatures swim away. Ivan Levy returned to shore with a wrecked boat. Some said he had delibrately damaged the boat for insurance money, but unfortunately for him the boat was not insured and he gained very little other than a few local headlines for his story. In the most recent account of sea monsters in New Zealand, a Raumati mother and infant daughter saw a sea monster the size of a small whale in 2007 splashing in the shallows. These are only 11 of the stories of Mosasaurs from New Zealand; in comparison to elsewhere in the world the amount of New Zealand sightings is incredible. NZ paleontologist Alan Marks founded the theory that a population of Mosasaurs still exists, albeit a very small one, that live in the depths of the Pacific ocean, though occasionally areas such as the Atlantic and Indian oceans where they are sometimes spotted. He argues that the ridiculous amount of little known NZ sightings may mean that New Zealand is a breeding ground for Mosasaurs. Some paleontologists from overseas have apparently become very interested in the theory and stand by it strongly, although generally it is either unknown or simply disregarded by Paleontologists. Respected NZ cryptozoologist allegedlly agree's with Marks' theory and believes that its only a matter of time before a living Mosasaur is discovered in our waters, but I can find no evidence to this claim. It seems more likely that sightings of Mosasaurs are mis-indentifications of whales or sharks, or simply just made up stories. Personally I would like to believe that it is mis-indentification and imagination, but the fact that there are so many stories from one place makes me think. Please note the above article is copyright to Sam Yivano.